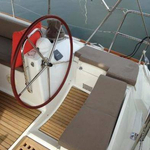 Anja-Sophie is a name of yacht Jeanneau 53 ,which was produced in 2011. 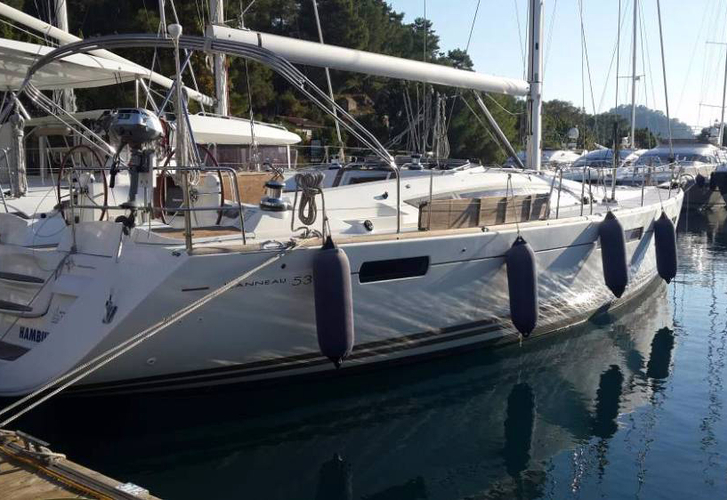 You can rent this sailboat from harbor Göcek around Göcek. 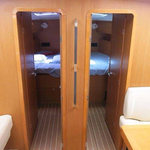 Anja-Sophie is equipped with 10 sleeping places. 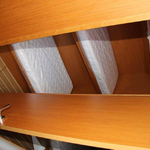 Beds on the vessel are configured in 10 layout. 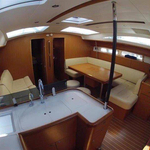 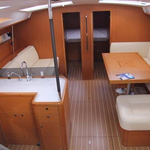 5 cabins are located inside the boat Anja-Sophie. 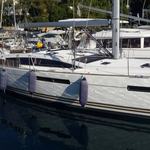 Get more other boats under this link: Yacht charter Göcek. 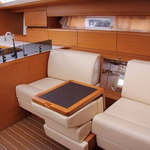 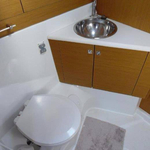 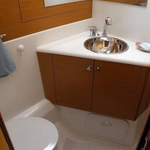 Guests can feel comfy on this yacht , because there are 3 heads for their disposal. 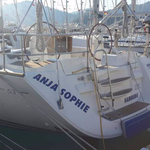 Anja-Sophie is driven by engine 110. 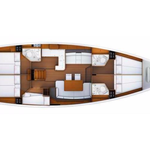 Yacht's dimensions are: lenght - 16.06 m , width - 4.77 m and 2.28 meters of draft. 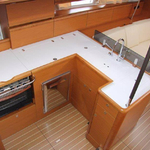 On the boat is placed following equipment: Heating, CD/MP3/USB player, Air conditioning, Radar, Navtex, Autopilot, Plotter gps in cockpit, Anchor electric windlass, Bimini top, Dinghy, Electric winches, Teak cockpit, Bow thruster, Inverter 12v-220v, generator, Microwave, Furling mainsail. . Security deposit accounts for 2000.00 EUR. 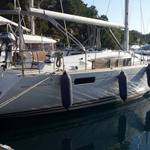 In our search engine you can easily check avalailability of sailboat Anja-Sophie from Göcek in this section: Yacht charter Turkey.